Buying a car is one of the biggest purchases most people will make in their life. 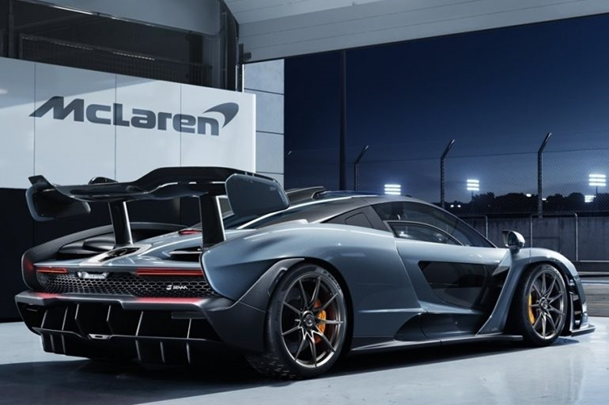 Understandably, choosing which car to buy is an important decision. Nobody wants to get stuck with a lemon, or end up being “taken for a ride” by a shady car salesman. Doing a thorough inspection of a used car yourself before you buy it won’t take you very long and can end up saving you a great deal of money and frustration. Take the time to discover any issues a car may have before you decide to pay for it, and you may notice problems with the car that were otherwise hidden, or at least be able to knock a couple hundred dollars off the asking price by pointing out small issues. If you can, bring a friend along with you to help inspect the car. They might notice things you’ve missed, hear something different than you, and be helpful while checking the lights and reflectors. Have a look at the car’s service history to get an idea of the repairs and problems the car has had in the past. If there is no service record or there are large gaps in the records, that may be a bad sign. See if the owner’s manual is available. It won’t be a dealbreaker if the manual is missing, but it’s a good reference to have on hand. Because modern cars are now computerized, a code reader can help you find out if there are any serious issues. There are some inexpensive code readers available out there, and when you consider how much money it could potentially save you on your car, it’s a smart choice to get one and bring it with you while inspecting a car. Simply plug the code reader in to the car, and read the error codes. If there aren’t any codes shown, that is a good sign. You should then check the drive cycle monitor. It should say that all monitors are okay. If the owner has reset the computer, it will say that the monitors are not okay yet, and this is not a good sign. Look at the car in daylight, on a dry day. Vehicles that are wet from rain or poorly lit by parking lot lights can hide body defects. The car should be clean so you can inspect the exterior. See if the paint is faded or cracked, or if some panels are a different color. Look at the car from end to end; if there is any waviness in the paint, it indicates the car has likely been painted. If you suspect the car has been painted, there are a couple ways to check. Run your finger along the edges of joints to see if there is any roughness left from masking tape residue. The rubber seals around the hood and trunk lid may also have paint on them if the car has been painted. Use the reflections in the body of the car to help you find dents or spots. 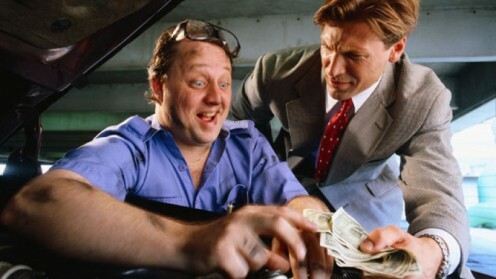 Finding dents shouldn’t prevent you from buying an otherwise great car, but it can help you during price negotiations. Take note of any rust spots, blistered paint, dents, or scratches on the body and the roof of the car. Look for rust in the wheel wells by using your flashlight. You should also look at the door bottoms and the rocker panels below the doors for rust. Look to see if any panel gaps are noticeably different than the rest. This could indicate poor workmanship when the car was made, or a bad repair job. Run your finger around the seams of each door, making sure the seams are the same when you compare the ones at the front of the car to the back and one side of the car to the other side. If they don’t match, it can indicate a crash resulting in body damage, followed by a repair. Check that the tires have worn evenly across the width of the tread, and when comparing one side of the car to the other. If the tires have not been rotated regularly, they are usually more worn on the front wheels. On the outside edge of the front tires is where you will see more wear if the car has been driven aggressively. Tires that have been overinflated and then driven on will have more wear in the middle of the tire. Under-inflated tires will have more wear on the sides. Feathering on the tire can indicate bad alignment, which may be due to frame damage or worn steering or suspension parts. Tire tread needs to be 1/16 inch to be legal, so bring along a quarter to test the tread yourself. Put the quarter into a tread groove with Washington’s head facing down. If you can still see the top of his head, the tires are worn and should be replaced. Make sure the hubcaps are not missing or loose, the lug nuts are not missing, and that there is no curb damage on the wheels. Check the size and brand of the tires to make sure they are all the same; if not, they have been replaced. Have a look at the sidewalls of the tires for any cracks, bulges, or scuff marks. There should be no dents or cracks on the edges of each rim. Take a small magnet and try to attach it to the car in several spots. If it doesn’t stick, this indicates an area where the body of the car has been altered. If rust has been polished or cut off, or body work has been done to fill holes or replace panels, the magnet will not stick to the body of the car. Open and close each door, the hood, and the trunk to make sure they all open and close properly. Check each of the rubber seals around the doors, hood, and trunk for rot and tears. In the trunk, feel around for wet spots and notice if the trunk smells musty. Look at the glass on the car to make sure there are no cracks or large chipped areas on any of the windows or the windshield. A small rock chip shouldn’t be a dealbreaker, but you should mention it during price negotiations. A crack in the car’s windshield will worsen and will need to be repaired, so keep this in mind before deciding to purchase the vehicle. If you’ve brought a friend with you, have them stand outside the vehicle and confirm that each of the lights are working. You should look at the lenses and reflectors – none of them should be missing, and there should be no cracks or signs of moisture. As you first open the door of the car, smell the air inside. Some smells can be difficult to remove, like mold or smoke. A musty smell could be a sign of water leaks inside the car. To check for water leaks, take out the floor mats and feel around for wet spots on the carpeting. Get inside the car and look at all of the seats and upholstery. Look for rips, tears, stains, or other signs of damage. Check the roof trim for stains or sags, which will indicate water leaking through the sunroof, doors, or windows. Open the glove box and look under the rear seats for water damage. See if there is any cracked, damaged, or missing trim pieces. Sit in each of the seats, including the back seats, and check that the seat adjustments function. Push all of the buttons on the dash in turn to verify that they are working. Check any parking sensors, the back parking camera, and all lights and signals. Make sure the windshield wipers work. Turn on the heater full blast and see how long it takes to get hot. Turn on the air conditioning to see if it quickly switches to cold air. Listen for fans squeaking or rattling as you try them on each setting. Turn on the radio and try out a few different settings to make sure it works. If there is a CD player, try putting in a disc, playing it, and ejecting it. If you’re connecting your own music or phone to the car radio, test that connection. Open the windows and see if any go down slower than the others or make noise. Open the sunroof or moonroof and listen for any signs it is struggling to operate properly. Ensure it opens and closes properly and will seal when it’s shut. If the car has a convertible top, use a flashlight to look for tears. Check the odometer for the car’s mileage. 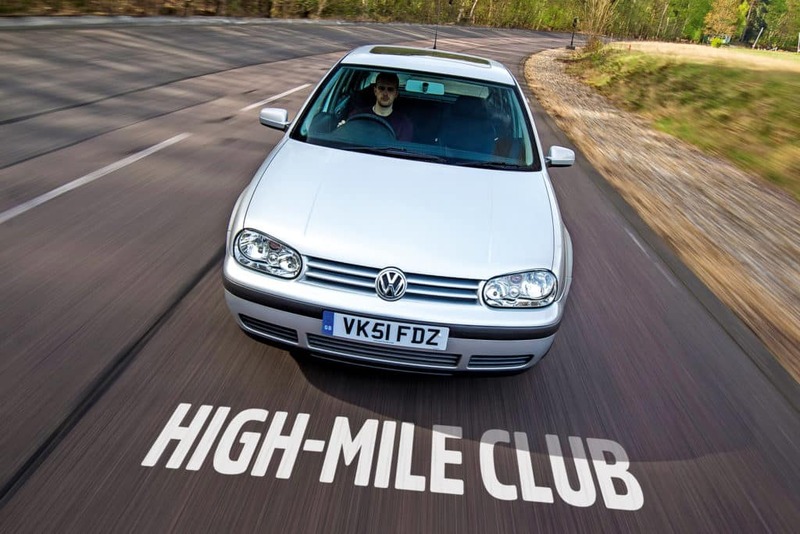 A car’s age is affected by both time and miles driven. Have a look at the wear on the brake pedal to confirm if it is worn as much as you’d expect from a car driven that many miles. When you start the car, see if the warning lights illuminate briefly. You want them to light up, including the “check engine” light, and then turn off. If they fail to illuminate, or if they stay on, it’s an indication that something is wrong. The airbag light, for example, should not blink or stay lit up. If the car is a manual transmission, press the clutch. Notice if it feels stiff or jerky. If the car is an automatic transmission, shift into drive. It shouldn’t clunk into gear. Look to see if any of the inner fender shields are missing or broken. Using your knee, push down on the bumper to bounce it up and down three times. When you stop, see if the car bounces more than twice – it shouldn’t. Repeat this test on each corner of the car. This will test the shock absorbers. If the car bounces too much, the shock absorbers will need to be replaced. Safely raise the car before getting under it. Inspect the undercarriage for any rust. Fresh undercoating can hide any recent structural repairs that were made to the car. Push and pull on the wheels to see if they will move back and forth; if they do, the wheel bearings or suspension may be in bad shape. Look at the CV joints to make sure they are not ripped or torn. Check the exhaust system for any black spots, which would indicate leaking. Use your finger to check for grease and grime residue on the tailpipe; dry, dark gray smudge is normal. Heavy rust on the exhaust system may mean it will need to be replaced. Look at the bottom of the radiator to see if it is wet from coolant. Check the ground underneath the car for any puddles from leaking oil or fluid. Look at the engine bottom for any sign of leaks. You don’t want to see any oil coating the shock absorbers. Have a look at the brake pads and rotors to see if they look worn out. Around the brake calipers or bottom of the brake drums, there should be no fluid seepage. Inspecting the engine is best done when it is cool. Pop the hood and look for any signs of dents, damage, or rust, which could indicate that the car wasn’t maintained very well or was damaged. It is normal to see some dust or dirt, but you shouldn’t see any oil splattered around, loose wires or hoses, or corrosion on the battery. Have a look at the engine for any indication of corrosion or leaks. Look for dark brown stains from oil on the engine block, which would signify a leak in a gasket. Check the car’s brake fluid and reservoir to make sure it isn’t leaking. Check the coolant reservoir and the brake reservoir for any seepage. Inspect the all of the hoses, for the radiator, air conditioner, and other parts, feeling them for any cracks. The hoses shouldn’t feel soft or rock hard, but firm. Feel the belts for fraying; they should not show signs of drying. Don’t forget to check the timing belt, which is the most expensive belt to replace. It shouldn’t be older than four years. Use the owner’s manual as a reference to check all fluid levels. The power-steering and brake fluid levels should be within the safe zone. Look in the reservoir that is connected to the radiator to check the color of the coolant – it should be green or orange, not milky or rusty. Green stains on the outside of the radiator indicate small leaks. Take off the oil filler cap to check for foam residue, water droplets, or gray oil on the inside. This indicates a leaking head gasket or cracked engine block – both of which are costly repairs. Look for any thick, black deposits as well. 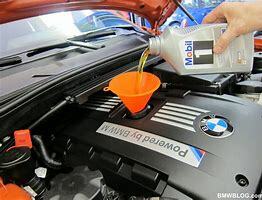 Check the color of the oil by putting a drop from the dipstick on a clean rag. It shouldn’t look black, milky, or gooey, and you shouldn’t be able to see shiny particles in the oil. Smell it to make sure that it doesn’t smell like gasoline. If it is honey-colored, the oil was just changed. Check the automatic transmission fluid when the engine is running. Some vehicles have two sets of marks on the dipstick so that you can check the engine when it is either cold or warm. 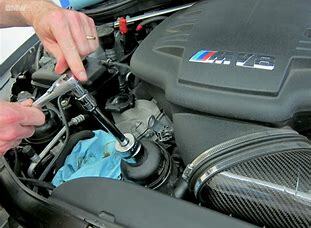 Pull the transmission dipstick and check the color of the fluid by wiping it on a clean, white cloth. Transmission fluid should be pink or red, but for an older car it may be a bit darker in color. It shouldn’t look or smell burnt, and you shouldn’t be able to see lots of black particles. To check for frame damage, inspect the bolt heads at the top of the fenders inside the hood. If there are any scratch marks, the fenders have likely been replaced or realigned after a crash. Some batteries have a charge indicator light on them, although it is important to remember that these lights convey the condition of just one cell and not the whole battery. A green light usually indicates the battery is in good condition. If it is yellow or black, the battery is dying or dead. If the battery has filler caps, you can check the level of liquid electrolyte. Wipe off the top of the battery with a cloth, then unscrew the filler caps. If the level is low, the battery may be working too hard. When you’re done looking under the hood, close it, and then check to make sure that it is aligned properly. Run your finger all the way around the seam on the hood. Compare the two sides of the hood, ensuring the right side and the left side look the same. If they don’t, the hood may have been crumpled and repaired. Don’t ever make a decision before you’ve had a chance to actually drive the car. Driving the car will give you a better idea of things that may be wrong with the vehicle that your inspection didn’t reveal. Plan to drive the car for at least ten minutes in town, about ten miles on the highway, and a few minutes on a back road or in a parking lot where you can test out various parts of the car. 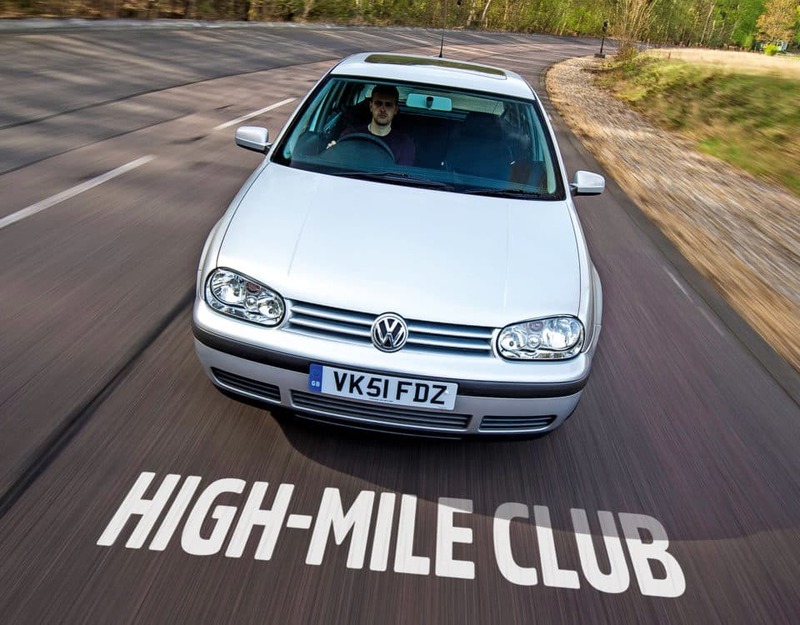 Start in an area without traffic where you can try a few maneuvers. Check the brakes by pressing hard enough to slow down quickly. There should be no squealing or strange noises from the brakes, and you should not be able to feel any vibrations from the brake pedal. If the brakes are pulsing, the rotors need to be resurfaced or replaced, and new pads need to be installed. The car should not swerve or veer to one side as you slow down; if it does, this is likely caused by steering components that are worn down, or a bad brake caliper. Notice if the feel of the brake pedal changes from one stop to the next. While driving at a low speed, do a sharp turn. Listen for any strange noises while turning, which can indicate joints that need to be changed. Drive over speed bumps at regular speed to see how the car reacts. Notice if the car bounces up and down afterward, or if there are any strange clunking sounds from the suspension. Listen for any pieces inside the car rattling when you drive over bumps. Accelerate and listen for any knocking sounds from the engine, and pay attention to the transmission at the shift points. Note if the car accelerates in fits. Get up to highway speed and listen closely for any changes in noise from the car, including excessive wind noise. See how the car tracks – if it goes straight or if it veers to one side or shakes. Dedicate a good amount of time to fully inspect the car yourself before you buy it – the exterior, the interior, under the car, and under the hood. After checking it out thoroughly, drive the car at various speeds to test how the car drives and any other issues that you hadn’t noticed in your pre-trip inspection. You might only notice a few small issues, such as dents in the body, small tears in the seats, or a rock chip in the windshield, but these can be used as bargaining chips to reduce the asking price during negotiations. Doing a full inspection could reveal large problems with the vehicle that will be expensive to repair, damaged parts that will be costly to replace, or serious issues that you don’t want to deal with and may have been hidden or not mentioned by the person selling the car. If this is overwhelming for you or you want a professional opinion, instaMek has professional vehicle inspectors that will come to you the vehicles location to perform the inspection. You can find more information on our inspection services here. If you’re looking for a professional pre-purchase inspection you can book one with our mechanics in Edmonton, Calgary & the Vancouver Area.